By now, many responsible tenants know the importance of renters insurance. Policies can save renters thousands in the event of damages caused by personal negligence or unforeseeable threats to the property. Knowing that you have the right renters insurance policy can offer you a great deal of peace of mind, and will allow your landlord to rest easy knowing his property is fully protected in the event of an accident for which you are financially responsible. 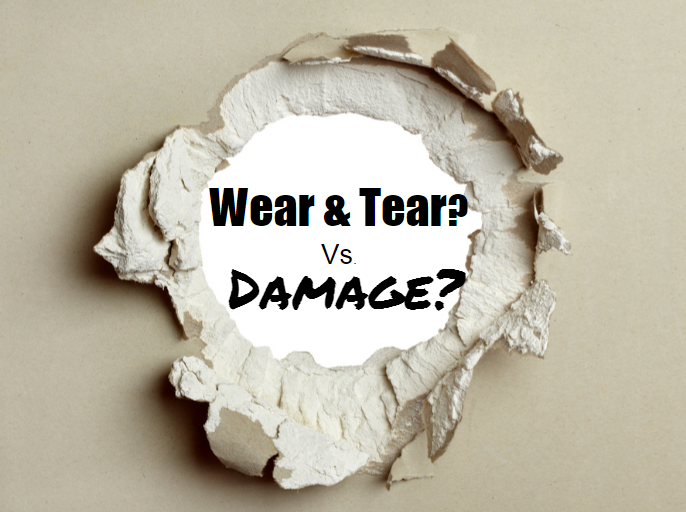 However, having the proper renters insurance policy is only half the battle. 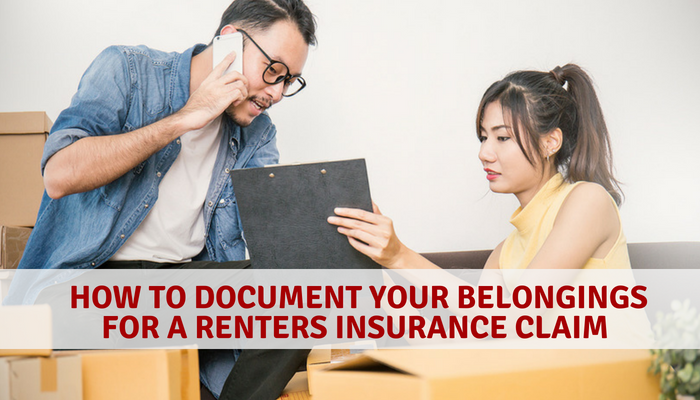 The other half is knowing what you will need in order to file a claim on your renters insurance policy. This starts with having prepared an inventory of your belongings. Your policy’s effectiveness is largely based on how well you have documented what you own. It’s not enough to simply take out a policy and forget about it the next day. Instead, you need to create a list of your household belongings–most especially those of a higher dollar value. Naturally, this list needs to be kept in an off-site secure location since it will not be useful to you if the list was damaged in the event that is causing you to make a claim. Thankfully, in the days of mobile apps and cloud services like Google docs, this process has become a lot more streamlined than when you had to handwrite a list and invest in a safe deposit box. Apps like Sortly, Encircle, and iKeepM all can be useful in tracking your stuff to ensure you can file a claim easily in the future. Some insurer websites also provide free inventory services, so be sure to check with your renters insurance provider. While a comprehensive list is vital, it is not all that your insurance provider may require when responding to a claim. Many times, an insurance company or other parties will ask for supporting documentation above and beyond your inventory list. This is especially important in cases of theft since police reports and your insurance claim can rely heavily on properly documented serial numbers. Take photographs of any of your items that possess serial numbers, or simply write the numbers down next to the item on your lists. One good rule of thumb is to always keep shopping receipts for valuable items. If you don’t want to store all of these little papers, simply take a photograph of the documents or use a receipt storage application for easy future reference. Be proactive in documenting the value of your items. As life goes on, your belongings will change. Things you once owned will wear out and some will be tossed, donated or sold. 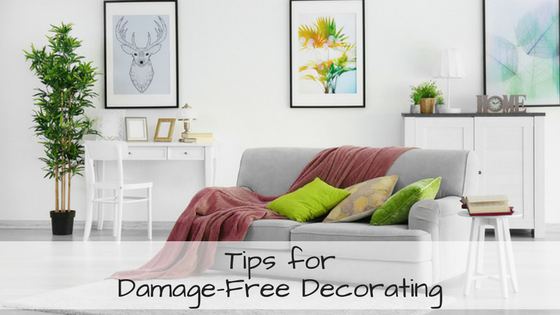 Likewise, you will acquire more items–and over time–often will acquire more quality replacements of those past belongings. This means you should be continually updating your inventory of items (once or twice a year is ideal), and should also consider a yearly video documenting the things in your home to ensure there are items that you did not miss. Should a fire, robbery or other claim-creating situation occur, you will be able to easily reference the video and ensure that you are not forgetting what items you had at the time. During this process, it is also a good idea to compare your new list of items (and their respective replacement values) with your current renters insurance coverage. Chances are, the policy you took out when getting your first apartment in college will not cover all of the higher-dollar-value items that you may have acquired as a working adult in your latest rental. To ensure that you will not be stuck in the lurch if a disaster strikes, reevaluate your coverage yearly and look into your provider’s policies regarding items that may appreciate in value (like heirloom jewelry or a coin collection) as these items may need an additional insurance rider in order to be fully covered. Having renters insurance is one of the markers of a responsible tenant, and can hint at the qualities landlords look for in a tenant. And while you may know the many benefits of renters insurance, and may even know that coverage is often cheaper than most renters think, it can be easy to feel that having a policy of any kind will ensure that you are properly covered. In the end, however, keeping an inventory of your items and matching your policy to your current lifestyle is key to guarantee that your items will be covered the way that you expect.